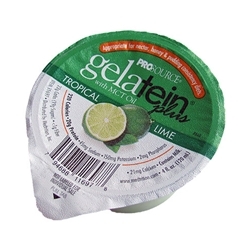 Prosource™ Gelatein gives you 220 calories and 20 grams of high quality protein per 4 oz serving. Lactose Free. Egg Free. Supplement. High Protein. High Calorie. 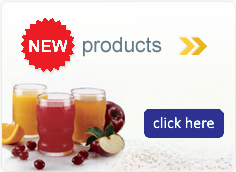 Ingredients: Water, Protein (from Collagen Hydrolysate and Whey Protein Isolate), Sugar, Medium Chain Triglycerides, Malic Acid, Carrageenan & Locust Bean Gum, Natural Flavor, Potassium Citrate, L-Tryptophan, Potassium Sorbate and Sodium Benzoate (preservatives), Sucralose, Yellow 5, Blue 1. CONTAINS MILK. Produced in a facility that also uses Milk, Soy, Wheat & Tree Nuts. May be Produced with Genetic Engineering.